What's Poppin' Tonight! STORY Miami & Headliner Market Group #MemorialDayWeekend Hosted by Young Jeezy at STORY Nightclub ~ Phresh Hott New! Tonight! 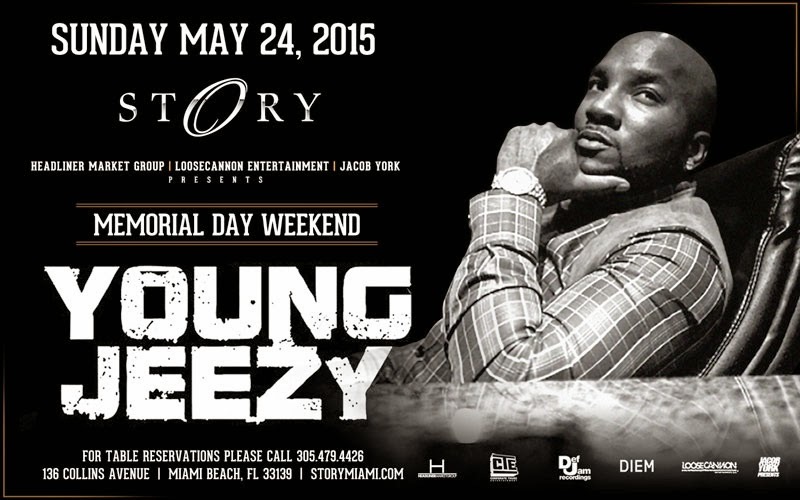 Story & Headliner Market Group | LooseCannon Entertainment | Jacob York presents “Memorial Day Weekend” Hosted by “Young Jeezy” at STORY Miami.